Cpl. 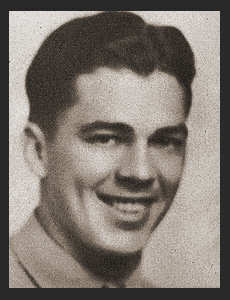 Jay Bee Cosgrove, son of Mr. and Mrs. Orlan Cosgrove, graduated from Frederick High School, Cameron College; husband of the former Jane Curd. Entered service in Dec. 1941, trained in Sheppard Field, Texas, San Antonio, Brownsville, Texas, Santa Monica, Cal. He served in the Admiralties, Okinawa, the Philippines, East Indies. Awarded Asiatic Pacific Ribbon with three Battle Stars, Am.Defense Ribbon, Victory Ribbon.